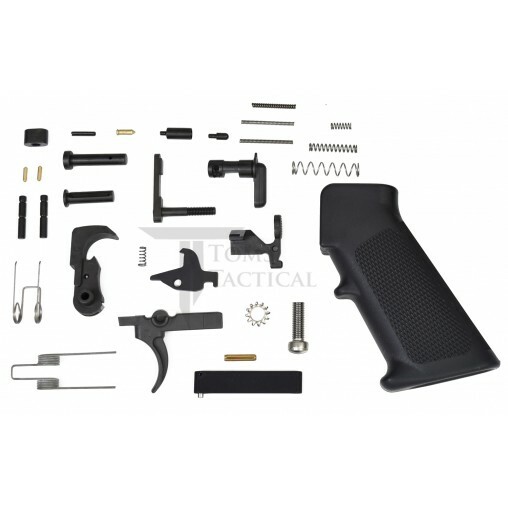 The Toms Tactical AR15 LPK Lower Parts Kit is premium quality and 100% made in the USA. 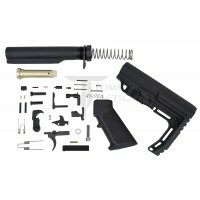 This kit includes all the parts you need to assemble your AR15 lower receiver except the buttstock assembly. The trigger, hammer, bolt catch, safety selector, magazine catch, pivot pin, and takedown pin are all CNC machined from high quality 8620 steel (not MIM) and go through a 3 step heat treat process. 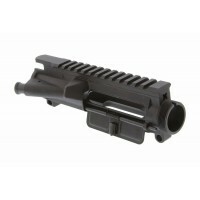 This provides superior durability and quality over most other AR15 lower part kit lpks on the market. 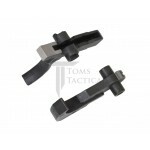 Engagement surfaces on trigger and hammer are precision polished to give you a crisp trigger pull. 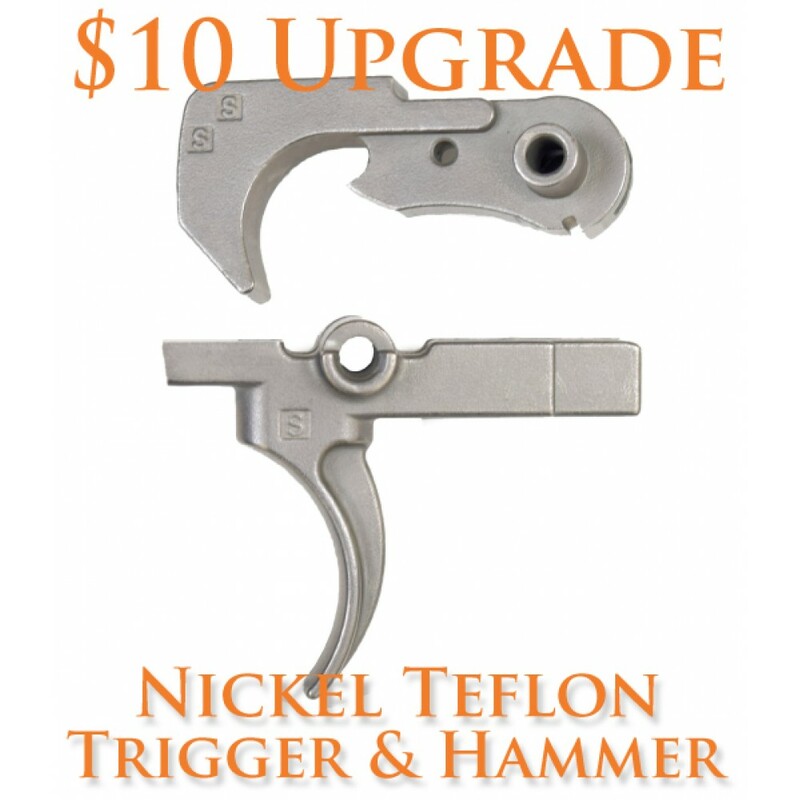 Works with any mil-spec lower (including Anderson Manufacturing, Aero Precision, PSA, etc). 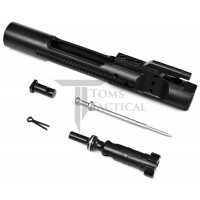 All Tom's Tactical brand products include a lifetime warranty. After doing some research I felt that the Tom's Tactical LPK with the Teflon upgrade was the way to go. I was a little unsure, because I had not heard of Tom's Tactical before. The kit was great! The fit was perfect in my lower. The trigger is perfect with no creep. I haven't tested to get the pull weight, but it feels good. I would definitely install it again if I do another build. This is the best mil spec LPK I've used...better than the name brands and lower cost. Nice to be able to pass on the A2 grip and trigger guard. Enhanced trigger is very well made and smooth! Purchased and installed the LPK with Nickel Teflon trigger. everything fit perfectly in Anderson stripped lower. I tested several stock and after market triggers at a local well known store including their enhanced fire control group. The trigger in the Toms package is not only better, but easily feels as good as many of the expensive after market setups I tried with the only exception being maybe a bit lighter trigger pull on some. This is one quality product at a great price, especially considering some of the after market fire control groups were 4 times the price of this whole kit. Good experience dealing with Toms also. This kit fit flawlessly in my cerakoted lower. Tom's Tactical really has impressed me with this kit and the price. This is at least my 2nd order for this kit. I love it with the Teflon upgrade and magpul grip. It's the only LPK I will put in an build.